Among all of the important roles played by pioneer settlers on the Texas frontier, few have been as important and colorful as the County Sheriff. At first the country was thinly settled. There were no telephones, radios, motor cars and telegraphs for the interception of the criminals who had committed crimes. The early sheriff was a solitary guard for the protection of the weak and helpless and often his life, as well as the lives of others, depended solely upon his individual judgment, personal resources and skill in the use of fire-arms. He had all the dangers of a regular soldier but had none of their equipment and advantages, such as sustenance, prepared provisions and financial backing. After he had served his usefulness, he nor his family drew no pension, and sad to say, he was generally relegated to the scrap heap of humanity, worse than broke financially and physically, having given his all in the battles of right against might. This is the story of that great frontier legacy. In the 1880’s Noah Rose was a gangling country town boy, wearing jeans pants that reached midway between his ankle and his knee. His father, an ex-Confederate soldier, was a carpenter living at Menardville when the writer's parents moved to that straggling village in 1884. It was in 1889 that Noah Rose began working in the office of the Menardville Monitor as a printer's devil. He became intensely interested in photography, and soon purchased a larg camera, and within a year or two had a real sure enough photograph "gallery" in Menardville. He afterwards moved to Sonora, and engaged in business there for several years, and made hundreds of photographs of early day characters. He also operated studios at Mason, Brady and Del Rio, being located at the latter place for more than fifteen years. He took great pride in his work, and as the years passed Noah Rose became known as the best photographer in West and Southwest Texas. This is his story. Account of Dr. Leonidas Hudspeth, of Bandera county who cared for the health of the community in those old days when Bandera was just a struggling frontier village. Dr. Hudspeth located in this town in 1876, and remained here until his death in 1884, answering calls over a vast scope of rugged country, often going on horseback through an Indian-infested region to give relief to the sick. This is the story of his life. 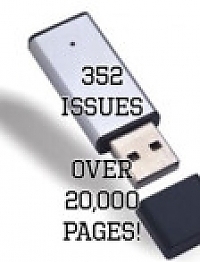 NOTE: This is the first installment of a most interesting serial, which is taken from the book of the above title, now considered a very rare collector's item. The story runs through several months, and will prove of much value to students of Texas history, from the graphic description given by the author of conditions in this State at that early period. 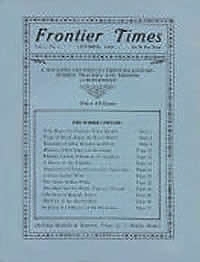 We urge you to preserve each copy of Frontier Times which contains an installment of the "Journey Through Texas," and when it is completed you will have a most valuable contribution to add to his library. 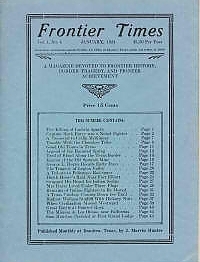 – The other installments are available from us here at FrontierTimesMagazine.com. In 1886 Texas was still the cattle country of wild west legend. A man's fortune was in his herd and there was plenty of cattle thieves who tried to take it away from him. Everyone "packed" a gun and murder was a slight offense in comparison to cattle thieving. The local sheriffs often could not preserve law and order and more often would not because they were in sympathy with the outlaws. 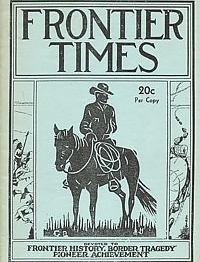 The law of the Lone Star State was enforced, when all other local officers failed, by the rangers, small companies of men who were ordered from place to place when needed by the citizens. Account follows the experience of J. Allen Newton, a resident of Galveston, who joined Captain William Scott’s Company F, Frontier Battalion, Texas Rangers. 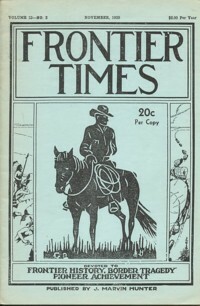 Miss Ruth Dodson, Mathis, Texas, recalls frontier memories triggered by the recollections of significant pots that held a prominent place in frontier life. By Col. M. L. Crimmins, U. S. Army, Retired. This account describes the story of the surrender of Red Cloud, in 1891, from Col. Charles W. Taylor who was in command of the 13th U. S. Cavalry. By John S. Mayfield, Washington, D. C.
Account of perhaps the most unusual object ever placed in a corner stone.